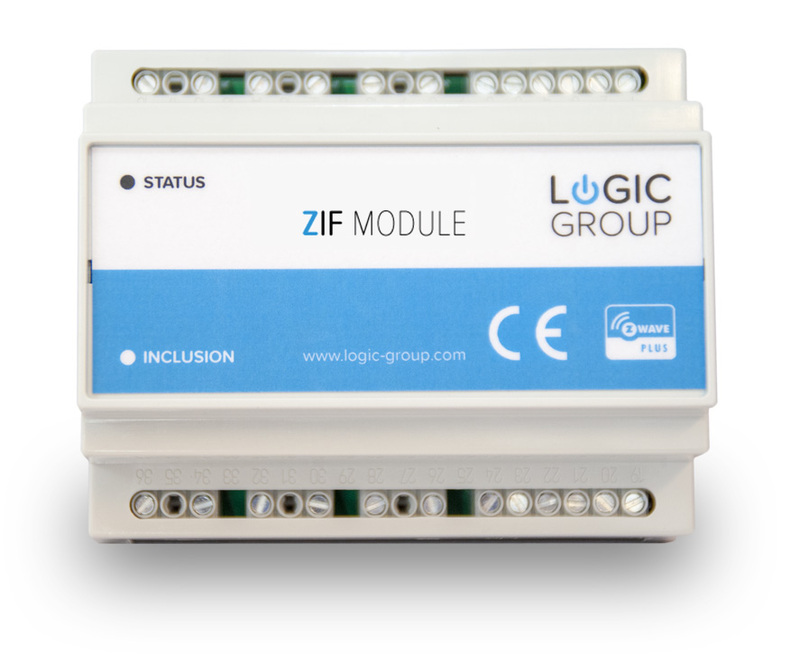 The ZIF5029 DIN-rail module is a device with a wireless Z-Wave communication protocol and 6 relay driven outputs and 6 pulse inputs (S0). The unit is a multi-purpose Z-Wave I/O module, which can be used for many applications. ZIF5029 is a 6 channel Z-Wave controlled DIN mountable module. The module is equipped with 6 relay switches and 6 impulse inputs for mounting on a standard M36 DIN rail (EN50022). The 6 independent relay switches can freely be controlled from the Z-Wave network and be used for many different purposes. The 6 pulse inputs can be used for counting pulses from utility meters such as water meters and electricity meters with an output that generates pulses when a specific consumption measure has been reached. ZIF5029 can be used for controlling up to six 230 V AC and/or DC loads through the Z-Wave network. Each relay switch is rated for loads of up to a maximum of 16A. ZIF5029 must be supplied from a 10-24V DC or 8-24V AC power supply. ZIF5029 is equipped with a LED in the front of the module for indicating status.